Templum Omnium Sanctorum, ecclesia lignea Catholica Romana Tvrdošín in oppido Slovaciae sita. Habitationes ad Skara Brae excavatae. Ornatus tecti in aula perstylorum templi Medinet Habu, exemplum architecturae Aegypti antiquae. Ruinae Persepolis, annorum circa 2500. Templa monolithica, inter quae Templum Sancti Georgii Lalibelae numeratur, ex solo in Aethiopia cavata sunt. Historia architecturae mutationes in architectura per varias traditiones, regiones, inclinationes modi, et tempora tractat. Rami architecturae sunt architectura civilis, sacra, navalis, militaris, terrestris. Braun, Hugh. 1951. An Introduction to English Mediaeval Architecture. Londinii: Faber and Faber. Fletcher, Banister. 1996. Sir Banister Fletcher's A History of Architecture. Ed. 20a. Ed. Dan Cruickshank. Architectural Press. ISBN 0-7506-2267-9. Ching, Francis, Mark Jarzombek, et Vikram Prakash. 2006. A Global History of Architecture. Wiley. Gympel, Jan. 2005. Histoire de l'architecture: de l'antiquité à nos jours. Éditions Place des Victoires. Hitchcock, Henry-Russell. 1958. The Pelican History of Art: Architecture: Nineteenth and Twentieth Centuries. Penguin Books. Monnier, Gérard. 2010. Histoire de l'architecture. Lutetiae: Presses Universitaires de France. Nuttgens, Patrick. 1983. The Story of Architecture. Prentice Hall. Nuttgens, Patrick. 2002. Histoire de l'architecture. Phaïdon. Renault, Christophe, et Christophe Lazé. 2006. les Styles de l'architecture et du mobliier. Lutetiae: Editions Jean-Paul Gisserot. ISBN 978-2-87747-465-8. Texier, Simon. 2012. Paris: Panorama de l'architecture. Parigramme. ISBN=978-2-84096-667-8. Watkin, David. 2005. 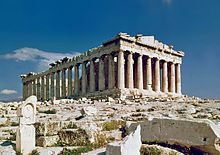 A History of Western Architecture. Hali Publications. Banham, Reyner. 1980. Theory and Design in the First Machine Age. Architectural Press. Curl, James Stevens. 2006. A Dictionary of Architecture and Landscape Architecture. Ed. 2a. Oxoniae: Oxford University Press. Curtis, William J. R. 1987. Modern Architecture Since 1900. Phaidon Press. Duncan, Alastair. 1988. Art déco. Londinii: Thames & Hudson. ISBN 2-87811-003-X. Duncan, Alastair. 2009. Art Deco Complete: The Definitive Guide to the Decorative Arts of the 1920s and 1930s. Abrams. ISBN 978-0-8109-8046-4. Frampton, Kenneth. (1992). Modern Architecture, a critical history.' Ed. 3a. Londinii: Thames & Hudson. Ibelings, Hans. 2011. Europäische Architektur seit 1890. Berolini: Jovis Verlag. ISBN 978-3-86859-038-8. Jencks, Charles. 1993. Modern Movements in Architecture. Ed. 2a. Penguin Books. Pevsner, Nikolaus. 1991. Pioneers of Modern Design: From William Morris to Walter Gropius. Penguin Books. Suckale, Robert. 1998. Kunst in Deutschland: Von Karl dem Großen bis heute. Coloniae: DuMont. Vicimedia Communia plura habent quae ad historiam architecturae spectant. Societas Historicorum Architecturalium Magnae Britanniae. Societas Historicorum Architecturalium Australiae et Novae Zelandiae. Collectio documentorum de historia, theoria, et iudicio architecturae saeculi vicensimi. Novissima mutatio die 6 Decembris 2018 hora 15:07 facta.